WEST WINDSOR – Dr. Diane Campbell, Executive Dean for Student Affairs at Mercer County Community College (MCCC), was honored as a Woman of Achievement by the Kappa Foundation of Kappa Alpha Psi (KAP) Fraternity, Trenton Alumni Chapter, during the organization’s annual Jazz Brunch on April 11. Campbell was honored for having served students in many capacities at Mercer, including leadership to Student Services, Career Services, and the Liberal Arts Division while serving as Assistant Dean and Director of the Virtual Campus. While leading the Virtual Campus, she served as president of the New Jersey Virtual Consortium, a joint effort among New Jersey’s community colleges to provide distance learning via the Internet to New Jersey’s college students. As an associate professor of Psychology, she taught Introductory Psychology and Child Development, and has designed both of these courses in an Internet format. KAP noted that in addition to her professional achievements, Campbell is committed to serving her community. 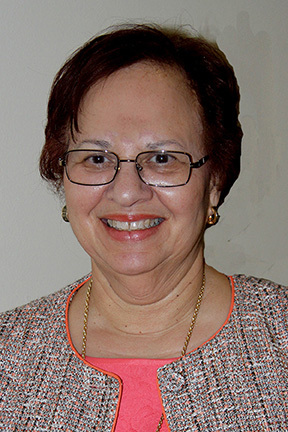 She served on the Trenton School Board for six years – two years as president – and serves as a member of the Board of Trustees of the United Way of Greater Mercer County, a member of the Board of the Shiloh Community Development Corporation, and the Board of Directors for Building One New Jersey, formerly the New Jersey Planning Coalition. She is currently a member of the Shiloh Baptist Church, following a tradition that extends back four generations. She has served on the Board of the Trenton Ecumenical Area Ministry and the Advisory Board of the Trenton Area Campus Ministry. Dr. Diane Campbell, Executive Dean for Student Affairs at Mercer County Community College.